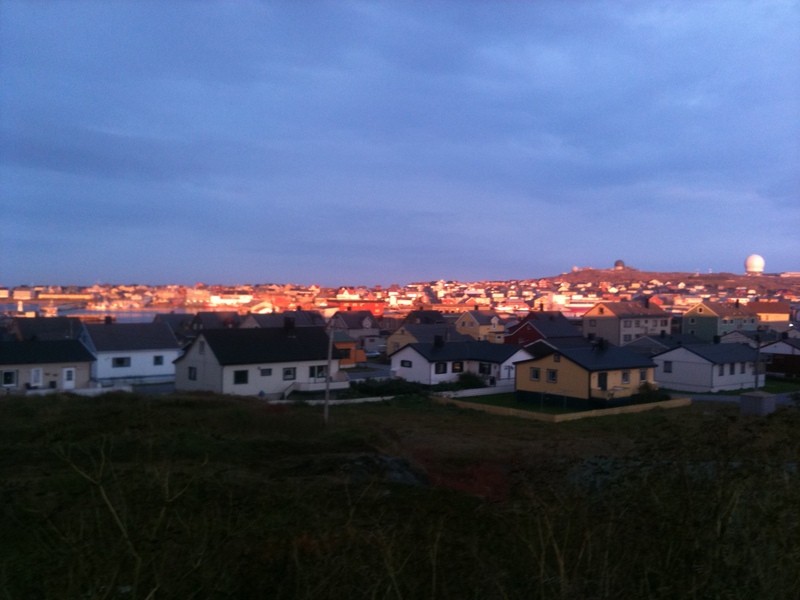 I’m leaving Vardø for a while now, and will not be back until October 17. Hope condx is better when I get back here. The last weekend was dominated by a class G1 storm, and at it’s worst the MW-band sounded like a frying-pan up here. So, I’ve spent some time doing other things than radio. Anyway, I will try to update the blog from time to time also when I’m away. I’ve loaded my USB memory stick with some .mp3-recordings that I haven’t examined yet, so I have definetely some radio-related stuff to spend time with during lonely evenings in boring hotel rooms, hi! Latest update says that the current A-Index stays on 7 and that the K-Index has raised from 1 to 2. That’s OK in my book. It could be better, but it also could be worse. Much worse. 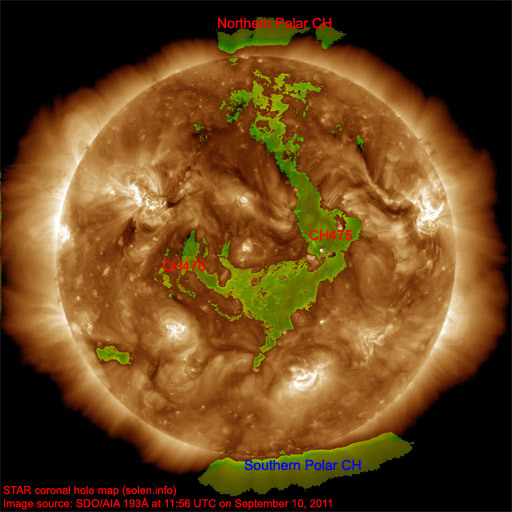 Let’s hope it stays like that over the night, and let’s hope that the forecasted CME-impact doesn’t happen. This evenings “asian-session” resulted in a new one for me; Radio Afghanistan, Pol-e-Charkhi on the new split 1107,007 KHz. The station played non-stop Pashtoon music, mixed with “Afghan-spiced” oriental pop for more than one hour before they ended their transmission with an evening prayer and the National Anthem. I had to check the anthem on Youtube, because I never heard any ID of the station, but it’s no doubt – the Youtube-check confirms that it’s the National Anthem of Afghanistan and nothing else. I have uploaded an audio file with the evening’s prayer, anthem and sign off. According to WRTH, Radio Afghanistan signs off at 1830 UTC, but it seems that they now have a new s/off time at 1930 UTC, or one or two minutes past the half hour. Also many thanks to Mauno Ritola, for the “heads up” regarding the stations new frequency offset. SFI = 143 A = 6 K = 2..! Well, A- and K-indexes are definetely going the right way. Maybe we will get a possibility to hear some stations from North Americe, if not tonight, maybe tomorrow night. If the numbers continues to go the “right” way, that is. However, I don’t like the increasing number of sunspots – but we’re heading towards the maximum, either we like it or not. Was looking for ABC Emerald on 1548 KHz between 1630-1730 UTC today, and around 1650 UTC an english speaking station started to climb over the noise. But no, it turned out to be Deutsche Welle / Trinconmalee who continued in German after 1700 UTC. Well, time and oppurtunity to snag Emerald will come, I’m sure. This evening the usual bunch of stations from the middle east and Iran has been there, but due to a load of “home-work” I haven’t been able to do any deeper searches around the MW-band. Maybe I have a quick look around the band before it’s time to hit the sack. Got the feeling that it may be rewarding to get the feets on the floor quite early tomorrow morning. Last night I was monitoring 1296 KHz, and found the frequency totally dominated by VoA, Pol-e-Charkhi, Afghanistan – with their usual programming with news in Dari / Pashtu on the full hours and News in Special English in between. The station usually is a good indicator for propagation into that area, and there is plenty of interesting stations to dig for. However, I noticed the VoA-station much too late, as it definetely was time to go to bed. It was working day today. Hope tomorrow morning will result in one or two interesting catches. If I don’t oversleep, that is! Just uploaded what I beleive is an ID from the regional IRIB station in Sari, Iran. Please have a listen on it, and if you have a different opinion – let me know, right? What else, then? Well, A-index is still quite high: 24, which is way too much for any possible north american stations to get through. However, propagation along north-eastern paths is predicted to be good, so maybe I will have a look for some stations from the Far East in a moment or two. Added some ground radials to the phased loops earlier this evening. Results seems promising, but I will wait with my verdict until a day or two has passed. Update: Thanks to Mauno Ritola for helping me ID this one as the IRIB Regional service for the Mazandaran province, with transmitter site in Sari. Update #2: And the A-index has dropped from 24 down to 16! Not only that, also the K-index is decreasing: now on a very nice 1! Seems that conditions are quite unstable right now. Yesterday evening the A-index raised to 24 and the mediumwave band was very quiet. Signal-wise, that is. Not QRM-wise, unfortunately. I was monitoring 1548 KHz between 1700-1815 UTC in hope for ABC Emerald to show up, but nothing from Australia this evening. Instead, Deutsche Welle / Trinconmalee, Sri Lanka was the dominant station on the frequency with programming in german until 1800 UTC. Co-channel Radio Sawa was surprinsingly weak the whole evening. Well, we’ll see what happens with the band tonight… If nothing interesting is to be heard, I will continue my “file work” and upload a few more audio-recordings. Just ordered a bunch of clip-on ferrites. Going to make a really serious effort to cancel all noise/EMC when I’m coming back here again in October. Posted in Condx, DX, QRM! Dealing with audio files is quite time consuming, so I will continue tomorrow with a few more stations. Hope you like what I’ve uploaded today anyway. The geomagnetic storm seems to have “ceased fire” for this time, and the mediumwave band doesn’t sound like a frying pan anymore. The Solar Terrestrial Activity Report says that propagation on long distance northeast-southwest paths is fair to good, so I will spend a few hours tonight looking for asian stations. Yesterday evening turned out to be pretty nice, DX-wise. At around 1800 UTC I started to look for the low band Aussies, and especially 4QN on 630 KHz. There was a faint carrier on the frequency, but it was not possible to detect any audio at the time. Further up the band, the noise and QRM increased, especially on frequencys above 1100 KHz. I decided to abort the “aussie-hunt” and instead have a last go in trying to solve the very annoying QRM-problem, which has tormented me for a couple of days now. As it turned out, this was a very wise thing to do, and those of you who read my posts from yesterday knows that the “root of evil” was my own laptop. So, to keep a long story short, I continued to listen with my ICF-2001D (i.e. an ICF-2010) hooked up to my phased delta array. Listening to MW with the ol´Sony in AM-sync mode is nothing but a true pleasure. It’s sensitive, and with the filter modifications I’ve done, the selectivity is great! Already before i started my last and final “QRM-solving mission” I noted Family Radio, Taiwan on 1557 KHz with a strong and solid signal already at 1755 UTC. When I started listening with the ol´Sony, I noted HLAZ, Jeju on 1566 KHz at 1900 UTC with respectable strength and I assumed that it then would be possible to snag one or two pretty good ones, even with such a modest antenna setup as I currently use. I almost immedeately found an UNID chinese station on 1512 KHz which was fighting a quite un-even battle with the iranian co-channel. I think I have an announcement, maybe even an ID, from the chinese one recorded, so we’ll see what I may find out about this one. Besides that, a number of strong chinese signals was noted above 1300 KHz, for instance CNR 1 on 1377 KHz and RCI on 1422 KHz, to mention a few of them. At 2055 UTC I found an interesting chinese speaking station on 1278 Khz, carrying a phone-in programme. Announcements on the full hour was recorded and analyzed and it turned out to be Hebei Peoples Broadcasting Station. Not un-common in any way, but a nice new one for me. In my ears, the recording quality of the full hour announcements and ID is good enough for an audio reception report. Yesterday evening’s best catch, however, was BEE32 Chiao Yü Broadcasting System, Sanchung (TWN), which was received between 2320-2340 UTC with a pretty good signal on 1494 KHz. BEE32 is the main station in the National Education Radio of Taiwan. The station ID was recorded at 2330 UTC, and this was a also a pretty good one for me as it shows what the phased array system is capable of. It will, of course be even better when I receive the loop-amps/matching units. The evening/early night session was ended together with Cyprus BC on 963 KHz, who carried a show with non-stop greek ballads and romantic songs. Quite a nice signal between 0030 and 0100 UTC. Ok, we may call it a “quasi-DX” catch, but it’s still a new one for me. Station ID and a few short announcements was recorded at 0100 UTC, before the station faded and me too. It was definetely bedtime, hi! Tonight I’m going to play with a “new” receiver, a Skanti R-5001 (borrowed from my work) to see what it’s capable of on mediumwave. The romour says it’s a very good MW-receiver, since it´s equipped with a built in preselector. Well, we’ll see! Filters is said to be excellent and AM-reception too. I’m curious!